For me, one of the most difficult questions to answer is “what is your favorite book?” I have faced this question a couple of times recently and each time, although I could name in a single breath a dozen titles I love with passion, I cannot name one that stands above them all without feeling that I do an injustice to some extent to another. However, if that question is limited to the past 10 years, then my answer is crystal clear, Carlos Ruiz Zafón’s “The Shadow of the Wind”. “The Shadow of the Wind” is a tremendous novel that put me in a reading spree after just its first couple of pages and made my fingers twitch when I was away from my copy of the book. Since then I devoured everything written by Carlos Ruiz Zafón and though I was a bit disappointed by “The Angel’s Game”, the second novel in his “Cemetery of Forgotten Books” series, I was pleasantly surprised to see the third, “The Prisoner of Heaven”, not only making me relive the beauty of Carlos Ruiz Zafón’s writing, but also making “The Angel’s Game” a better book on retrospective and with the new elements of the entire story taken into consideration. With my great love for “The Shadow of the Wind” and the other novels of Carlos Ruiz Zafón I was thrilled to see the work done by Subterranean Press for their special editions of these books. Especially when it comes to the book covers and interior illustrations where Vincent Chong worked his magic. 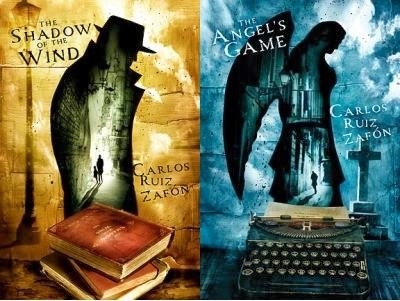 On all the three covers for Carlos Ruiz Zafón’s “Cemetery of Forgotten Books” series, Vincent Chong seems to perfectly capture an important part of the essence and soul of the novels, setting the perfect atmosphere for the readers who open the books for the first time as well as for those who return once more to these wonderful books. And if you head to “The Prisoner of Heaven” page on Subterranean Press’ website you can find four of the interior illustrations made by Vincent Chong for this edition. 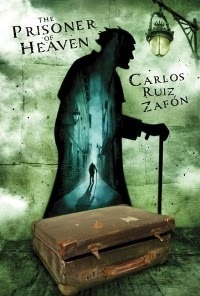 Carlos Ruiz Zafon’s “secret history of Barcelona” continues, to mesmerizing effect, in The Prisoner of Heaven, the third installment in his steadily deepening portrait of an endlessly fascinating city, at the heart of which lies the mysterious and seductive Cemetery of Forgotten Books. The Prisoner of Heaven, like The Shadow of the Wind and The Angel’s Game before it, has become an international phenomenon, a best-seller in dozens of countries. Subterranean Press is proud to announce this deluxe limited edition, which will feature a fine paper (80# Finch), deluxe cloth, a sewn binding, and be printed in two colors throughout. Really nice article, as always. Thank you! Having experienced these books myself, I have to say, 'One hell of a Review'. The covers look kind of scary but also cool. Sounds like an interesting book, so i'll add it to my TBR pile! Great post! Blacknightblues, thank you very much. :) I adore these books and I wish I could afford these limited editions. But although they are a bit expensive for me I can still admire the excellent book covers. Hanna, thank you very much. :) I highly recommend Carlos Ruiz Zafon's books, especially "The Shadow of the Wind". They are truly unforgettable.